David Scott and Alexei Leonov. Respectively an all-American fighter jock turned astronaut, and a Soviet test pilot then cosmonaut. Both men trained by their respective air forces during the chilliest periods of the Cold War, both part of the vast war machine both superpowers employed in their most dangerous games. Had history unfolded a little differently these men may well have ended up facing each other in aerial battle. As it was, they and their nations would compete in a new arena: space flight. Two Sides of the Moon flips regularly from Leonov to Scott and back again as both tell us a little about their early lives and the decisions which would eventually lead them into space. Both men are fascinating characters. Leonov, struggling in the inadequacies of the Soviet system where even obtaining a pair of shoes could be a struggle, still manages to become well-enough educated to become a pilot. Scott works hard to put himself through education and training to also become a pilot. Having achieved this goal though, neither man loses any edge to their ambition or determination. Studying even harder, working and flying, they both excel at both theory and practise of aviation, becoming test pilots. This was the pool from which both superpowers would select the original astronaut crews, although at this point neither man really suspected that this was where their futures lay. 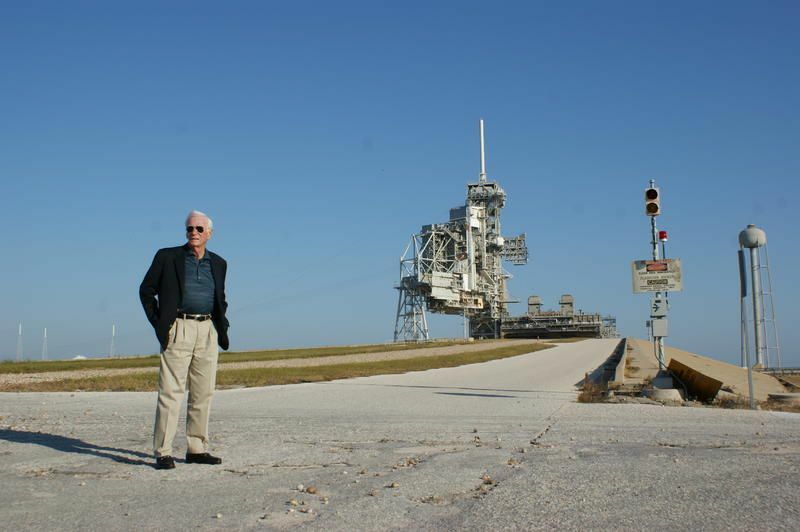 Both men were right in there in the earliest days of manned space flight, undergoing trials and training that make their previous travails seem comparatively straightforward. Both men work with and are friends to explorers who have become legend since those heady days: Leonov with Yuri Gagarin and Scott with Neil Armstrong (who provides the introduction). The physical, emotional and psychological pressure the prospective space crews come under is astonishing – way beyond what is demanded today of those undergoing space flight. It had to be demanding however, these men had to have what Tom Wolfe called ‘the Right Stuff’ because they were not only the pioneers of a new frontier; they were entering a wild frontier. New technology and engineering designed to do something never achieved before in the entire history of human civilisation. Men about to be subjected to who-knows-what kind of dangers? Could a man even live in space? Would his ship survive the environment of chilled vacuum and hot radiation? Could the man? Would a ship make it back to Earth safely? Even if it did, would the man be alright? What totally unknown effects could space flight have on a human body? When you realise just how little was known about space – and this is only 40 years ago – it becomes apparent that the determination and quiet bravery of these early cosmonauts and astronauts must have been exceptional. If you were a test pilot – as both men had been – trying out a revolutionary new aircraft and it goes wrong, you have a chance to eject and escape. This was not really much of an option in an early rocket vessel and indeed lives were lost on both sides, while more were imperilled but saved, by a mixture of ad-hoc engineering genius, skilful flying and steady nerves. This really was a dangerous time – Leonov elicits great sympathy for lost comrades who gave their lives in pursuit of this bold, new human exploration. Scott, in an incredibly touching display, places a small statue and plaque on the lunar surface honouring the names of both Soviet and American astronauts who had given their lives to the new frontier. This sense of brotherhood between the rival space explorers is a constant theme throughout the book. Neither man is naïve enough to dismiss the Cold War rivalry and the politics of that period which lead to the huge investment in space exploration for reasons of scientific and military dominance as well as for national prestige. But brotherhood there most certainly is, between these explorers isolated by geography and politics by united by a common pursuit into the unknown. Both groups feel sympathy and pain for the others’ losses and both, while also aspiring to lead, applaud the other’s achievements. This would contribute directly to the mid-’70s brief period of détente when Soyuz and Apollo craft would meet in orbit around our world and dock together. Two Cold War rivals united many miles above the glowing surface of the Earth. For most readers who are familiar with the history of space flight, this may not be a major revelation. What this book does do however, is give that epic period a human face, to personalise it. Leonov’s love of art leading him to take crayons and paper into orbit to sketch what he sees (Scott, incidentally, echoing Carl Sagan’s heroine in Contact by saying that what we need in space is an artist or poet to really describe it to the rest of us). 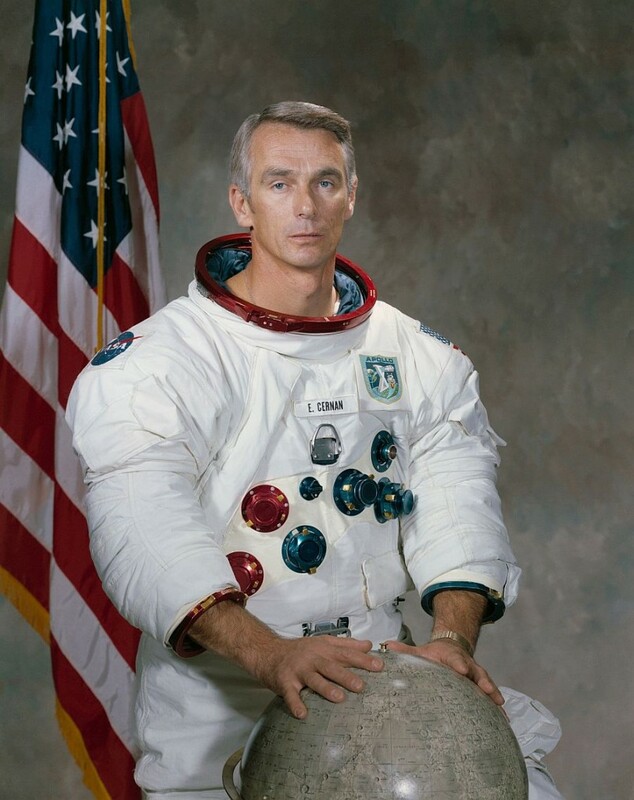 Scott spending several days on the Moon, realising that if he raised just this thumb he could obscure the entire Earth from the horizon. More Earthly camaraderie as the joint Soyuz-Apollo teams play host to each other during their training, the US astronauts struggling to keep up with the hospitable Soviets who insist – of course – on drinking a vodka toast to their health on each visit. Leonov and his crew taking a quick pee against the wheel of the bus which takes them to the launch area. These small, personal events give a very human shape to men who achieved astonishing feats – Scott driving on the Moon in a Lunar Rover, bouncing along the lunar surface, Leonov the first man to float freely in space, ‘walking’ outside his tiny craft, hanging by a thread above the world. Leonov’s delight at Arthur C. Clarke naming the spaceship in 2010 after him. Space exploration today has often become a pale shadow it’s former self. Safety and simple economics have both reduced the manned exploration to a rump and the general public pays scant attention for the most part, unlike the ’60s and ’70s when the deeds of astronauts were front page news around the world. Occasionally people pay attention when spectacular images from the recent Cassini probe come in or when lives are lost in a disaster like Challenger. 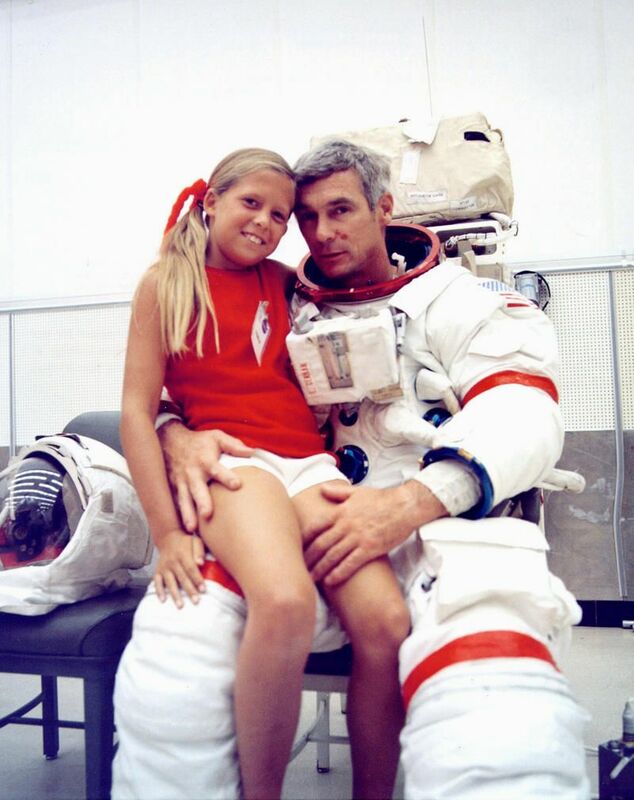 This book speaks to those of us who remember the sheer wonder and excitement of the early space missions, when millions of little boys and girls dreamed of becoming astronauts when they grew up. It’s about the magnificent feats humans can accomplish, the achievements we can make through hard work, ingenuity and bravery. In a way it is a little sad that this great, heroic period is already just a part of history. These men actually lived what many of us dreamed of; now it looks like the dream is fading away. And yet one of the lessons that can be learned from this book is that the dream never leaves us entirely; the human urge for exploration is simply too strongly ingrained. Those pioneering days of triumph and tragedy may be gone, but they left a route for us to follow. The Apollo and Soyuz project was more than a brief flowering of Cold War détente – it proved that different space craft could rendezvous in space and successfully dock with one another. Without this mid-70s flight the dream of today’s multi-national space station Freedom would have been stillborn. 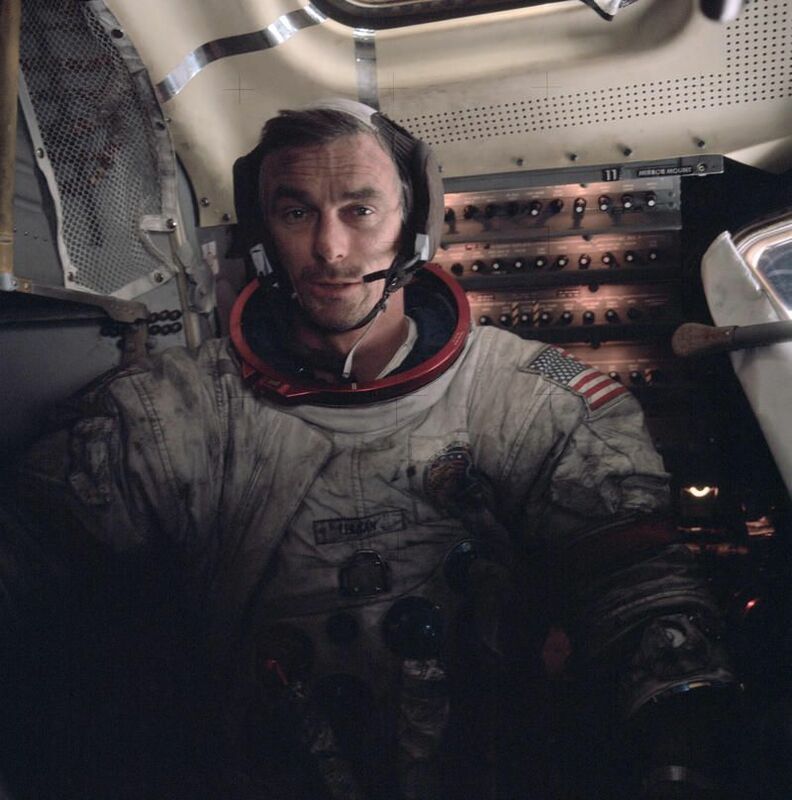 The early days are gone and the men who took giant steps are growing older, but the deeds they accomplished remain as both testament to human endurance in the past and as a beacon for future explorers. 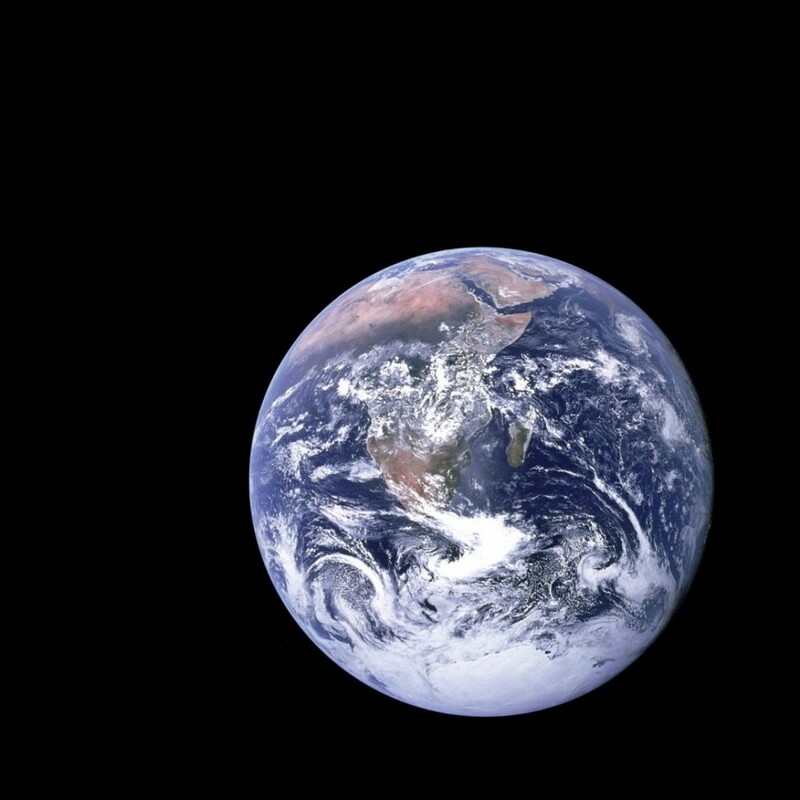 How can it really be forty years to the day since the first human beings walked on the surface of a celestial body that was not our own little world? How can it be that we’ve never surpassed that magnificent achievement after four decades? Oh don’t get me wrong, there have been other incredible, world changing endeavours – the Human Genome project springs to mind – but after four decades not to have striven beyond that Moon walk is dreadfully sad. Its like Concorde being retired without a next generation bigger, better, faster, more efficient replacement coming in, or the Shuttle due to finish its flights next year. Sometimes it feels like we’ve gone backwards a bit, not a good thing as a species. Yes, I know there are other important priorities needing world resources, not least feeding the hungry and controlling runaway populations. And some will say we shouldn’t ‘squander’ money on space when we have these problems to look at here. But as Bill Hicks used to say, if we didn’t spend so much on every more devious ways to kill one another we could spend the money we spend on weapons to feed the hungry and still have plenty left over to explore space. Hell, if we took what women collectively spend on make-up every year we could do that! But still I feel sad that those things which marked the wave of a bright future when I was a wee boy now turn out to have been the highwater mark and the tide of progress has receded. Although I did really enjoy the image of all three of the Apollo 11 crew with Obama on the news. Three of my boyhood heroes. Still three of my heroes. 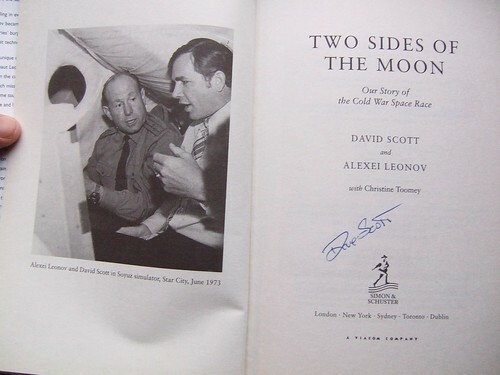 my signed copy of Two Sides of the Moon by David Scott and Alexei Leonov, a memento of the day when an Apollo astronaut came into my bookstore and I got to shake his hand. 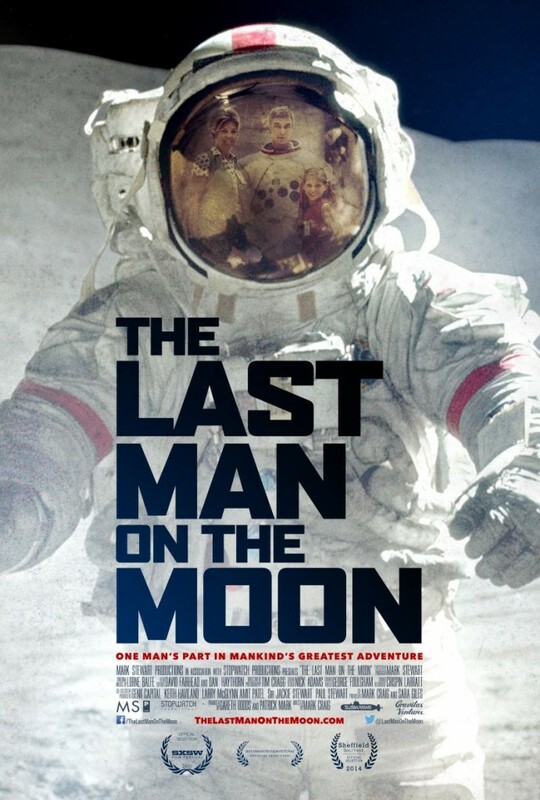 This afternoon at the Edinburgh Film Festival I caught the UK premiere of the documentary by David Sington, In the Shadow of the Moon, detailing the glories (and the tragedies) of one of the biggest undertakings humans ever launched themselves on, the Apollo programme. As soon as I saw this in the EIFF programme this year I knew I was going to see it. 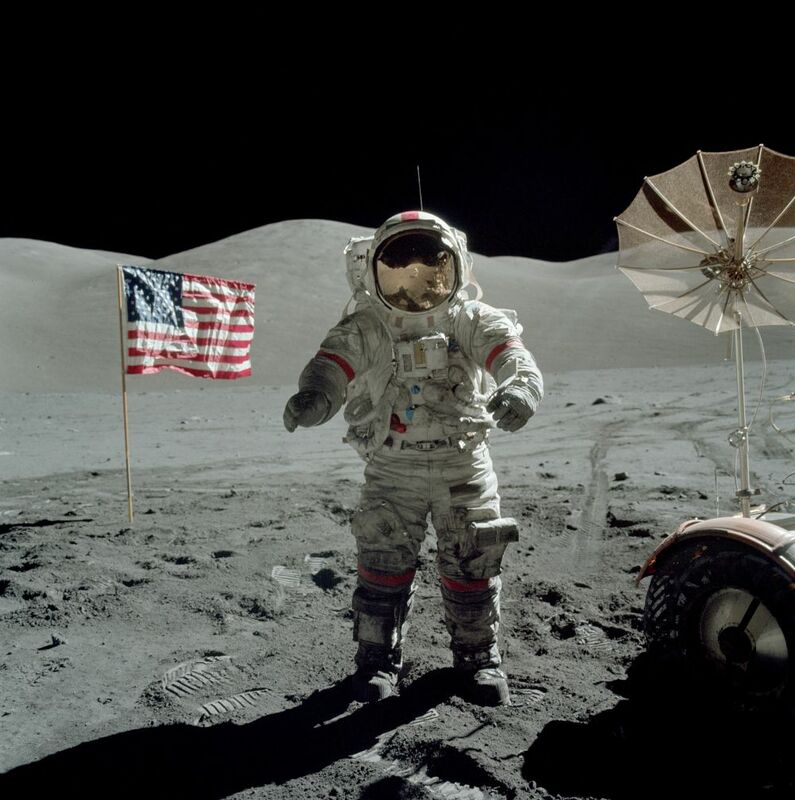 I was born at the height of the Space Race; Mike Collins, Buzz Aldrin and Neil Armstrong’s astonishing, history-making flight to the Moon on Apollo 11 was still a year and a half away. I grew up with an astronaut space suit costume to play in while Gagarin and Armstrong were on posters as my boyhood heroes (they still are, some things you never grow out of); the idea of space exploration has lived inside me my entire life and as I approach the big four-oh birthday on the last day of this year I get a little sad that those promises of holidays in space we were told the future would hold have never materialised and it looks less and less like that boyhood dream will ever come true. But still it weaves a magical spell on me; as the footage of those enormous Saturn Vs ascending the heavens on a column of fire flickered across the screen I could feel the old excitement rising – the boy in me is never far from the surface and images and ideas like this always bring it out. Much of the footage has never been seen before and is literally out of this world. The story of our first tentative steps out of the cradle of the Earth to our nearest neighbour is told in their own words by many of the NASA astronauts who made those epic journeys, voyages of discovery that stand in a long line of human endeavours such as the explorations of James Cook, Magellan or those unknown Polynesian sailors who crossed vast oceans on small boats made of reeds. One of those men featured was David Scott, an Apollo commander – a man I actually met a few years back when his publicist came in to my old bookstore to say he was across the road in the Balmoral Hotel doing interviews with the Scottish press and would we like him to come across and sign some copies of the book he had co-authored with his friend the Soviet cosmonaut Alexei Leonov (the first man to walk in space; his friend Arthur C Clarke would name a spaceship in his honour in the sequel to 2001). An ordinary day at work and then suddenly there I am chatting to a former astronaut and shaking hands with a man who had walked on the Moon; a man who got to live that boyhood dream of mine. Naturally I got one of those signed copies for myself; I’ve many signed books in my collection but only one signed by an author who has traveled far enough into space to look back and see the entirety of our world hanging in the void. 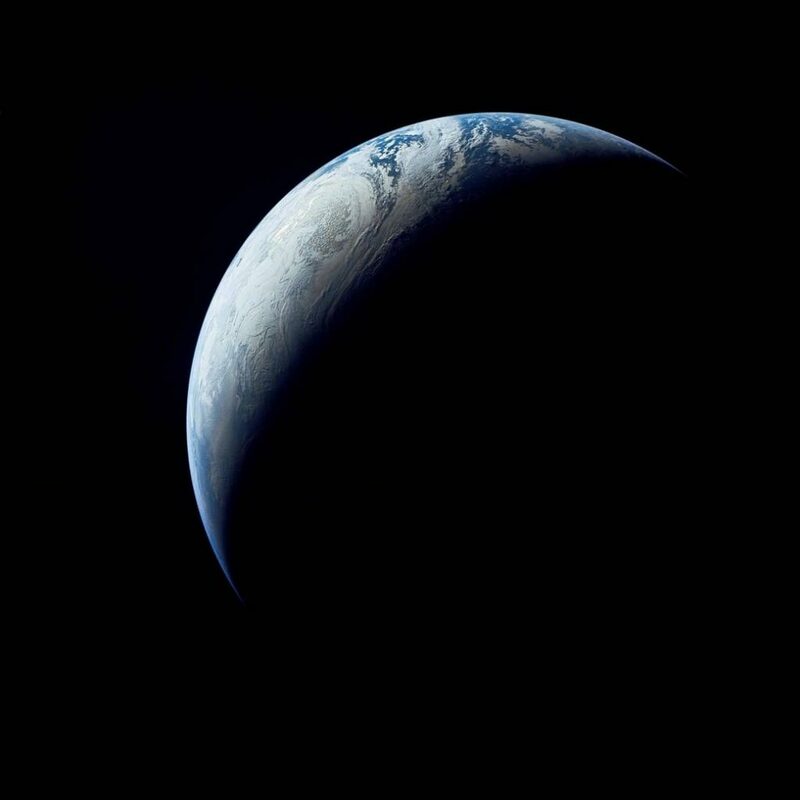 We’ve all seen the pictures, but it wasn’t until the crew of Apollo 8 voyaged around the dark side of the Moon that humans actually saw the entire Earth from space. 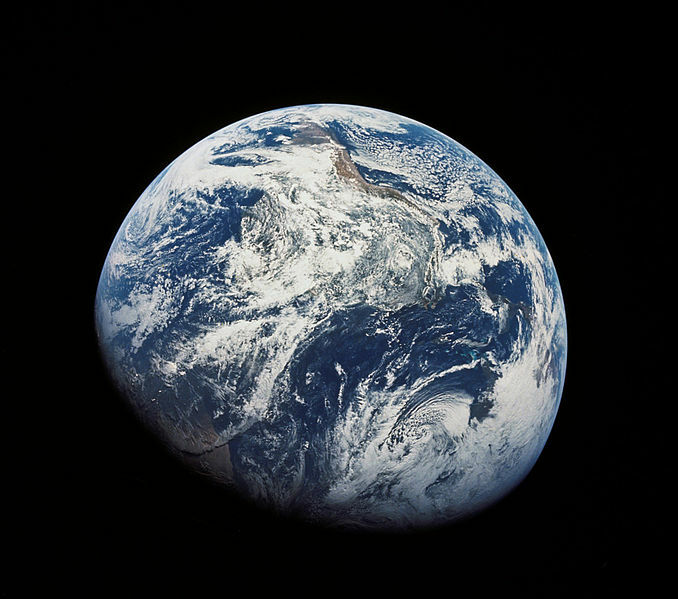 They took the famous ‘Earthrise’ photograph, our world rising in the dark above the surface of the Moon, the furthest humans have yet been from our world. Only a tiny handful of humans have ever seen that sight with their own eyes to this day, all now old men – to look at them in this film you could easily mistake them for someone’s favourite uncle of grandfather. But in their prime these men dared death, road on a column of scientific dragon’s fire further than anyone in the entire history of the world and in the process changed the way we see our little, beautiful world. It’s so sad we’ve pulled back from those days; I’m not stupid, I’m well aware of my history and understand much of the colossal cost of the space programme was only met because of politics of the Cold War. And yet I can’t help but feel we let ourselves become that much smaller as a species when we stopped pushing at the final frontier. Yes, I know we can spend the money on problems right here on Earth, but if we weren’t so busy squabbling among ourselves we wouldn’t need to waste so much on creating weapons – then we could spend that money on feeding and taking care of people here on Earth and have enough to explore, to go where no-one has gone before.